They are noisy, cheerful and entertaining. These are chimpanzees who have made this place their home. Most of them were rescued from across Africa from poachers and animal traffickers. 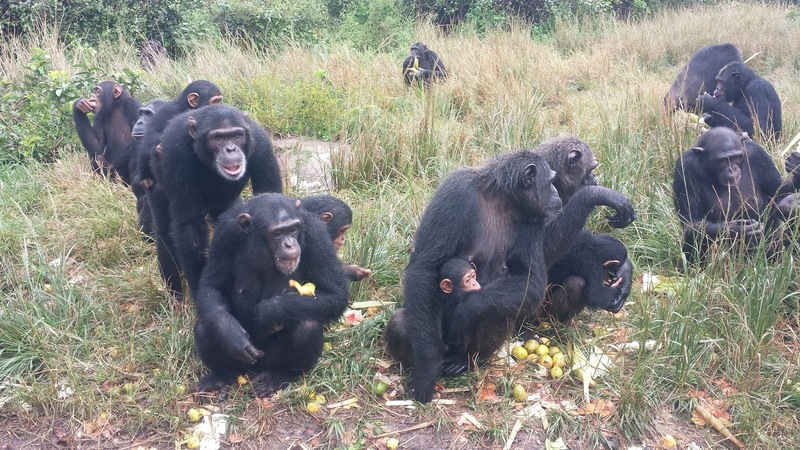 Over the years, hundreds of Chimpanzees have found their way to Chimfunshi Wildlife Sanctuary here in Chingola, a major mining town in Zambia's Copperbelt region which borders the Democratic Republic of Congo (DRC). This place started hosting trafficked primates in the early 1980s. "This place started as a refuge for the chimps. The road from Solwezi to Chingola was often used by animal traffickers and the animals easily found their way to Chimfunshi after being rescued," said Chimfunshi Wildlife Sanctuary Manager Innocent Mulenga. Chimfunshi is now the largest refuge for Chimpanzees in the world. Ironically, Zambia has no indigenous Chimpanzees. These animals are endangered in most parts of the world. In the neighbouring Democratic Republic of Congo, they are hunted for their meat which is a delicacy. With the 'never ending' conflict in the DRC, animals such as Chimpanzees are usually under threat because their habitats are always invaded by combatants. This is why Chimfunshi is now hosting over 120 Chimpanzees, most of them from the DRC, usually confiscated by Zambian authorities at the borders. 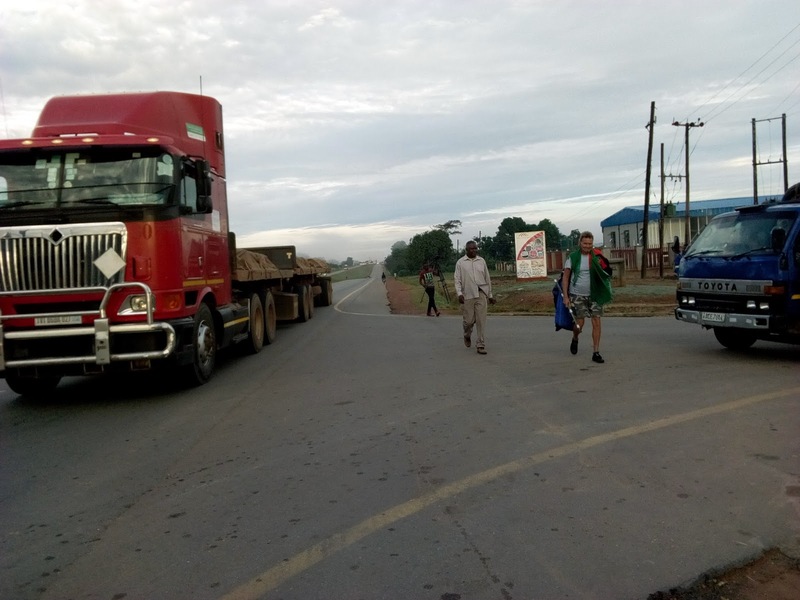 Zambia shares over 10 border posts with the DRC. Chimfunshi is less than 70 kilometres from Kasumbalesa, the nearest border post to the wildlife sanctuary. The sanctuary is located on the busy Solwezi-Chingola road, a significant export route where a huge percentage of Zambian copper passes on its way to the international market. It is this major highway which is said to be a conduit for animal traffickers from the DRC to the Far East via South Africa. "We receive these primates from various countries across the continent. 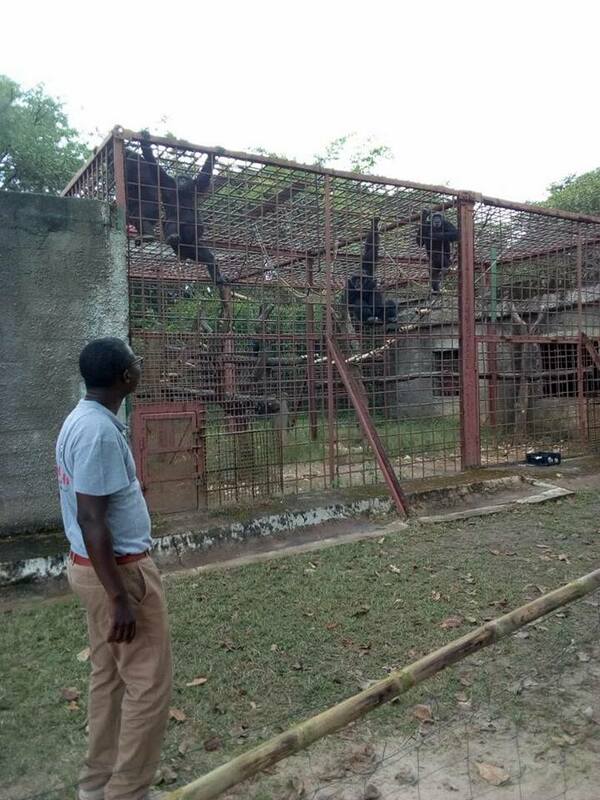 In the past two weeks, we rescued chimpanzees from Angola and South Sudan and settled them here. We collect these animals and keep them for safety," said Mr Mulenga. Apart from hosting the Chimpanzees, Chimfunshi is also a tourist attraction. The sanctuary has a good collection of Zambian curios which are on display at the reception. Tourists both foreign and local, visit this place every year to buy these crafts. The curios are mostly out of local wood, made in the shapes of Chimpanzees and other animals. This place is also ideal for pupils and students who have an interest in nature and conservation. 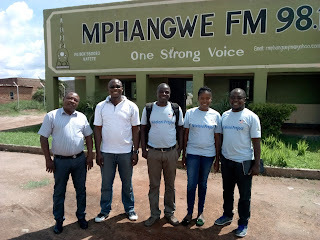 "We usually receive pupils from Solwezi, Chingola and Kitwe. 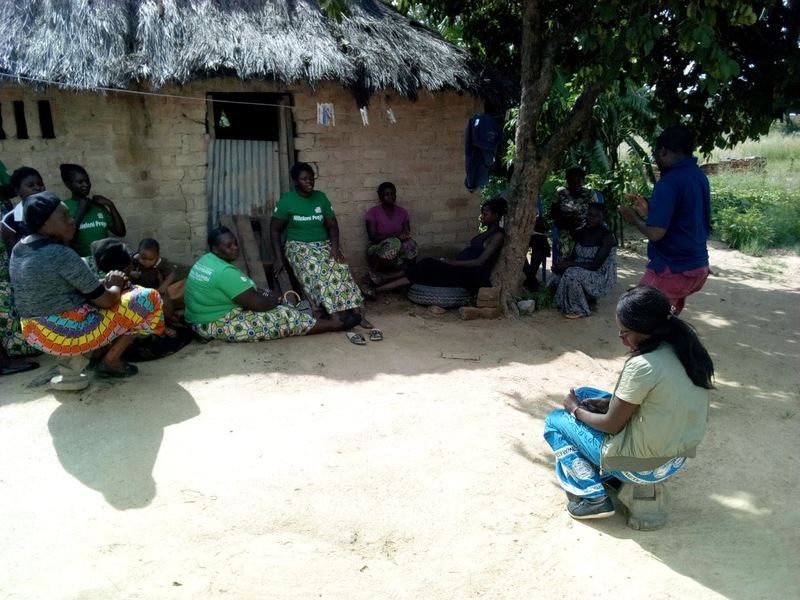 These are pupils who are in Nature Clubs and they come here to study and spend one to three nights in our shelters," said Chimfunshi Wildlife Sanctuary Assistant Manager Tarisai Makwelele. Being rich in rare species, Chimfunshi is also a center for research. Every year, this sanctuary receives researchers who come here to study the primates. "Most of the researchers who come here are from Germany, the USA and locally. Because of the conducive environment where our Chimpanzees are roaming freely, these researchers are able to study the primates without a problem," said Mr Mulenga who holds a Masters in Primatology. Among the Chimpanzees here, the oldest is a female called Mila. She is believed to have been born in 1972 in Cameroon but was later transferred to the Tanzanian town of Arusha. Mila is believed to have been rescued from a bar where she used to drink beer and smoke cigarettes as part of her job to entertain patrons. Her handlers say to date, some of her traits show the effects of the abuse. Chimfunshi Wildlife Sanctuary is also an employer. 18 people are employed here in various capacities, with the oldest employee having been here for 15 years. The sanctuary, which is run by a trust, has even built a health post and a school where over 100 local children are enrolled. Local farmers have also found a ready market for their produce which the Wildlife Trust buys. The sanctuary sits on an 11,000 hectare plot which is divided into two. 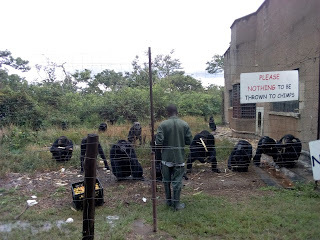 The first 6,000 hectares is inhabited by the Chimpanzees who are separated in groups of 20 to 30 secured by wires to avoid fights among different troops. The remaining 5,000 hectares is a livestock farm which currently has 700 cattle which are kept by the wildlife trust to support the conservation of the Chimps. Occasionally, the authorities here sale cattle to raise funds to meet the day-to-day financial needs of running the world's largest Chimpanzee sanctuary. Because of its remote location, Chimfunshi uses solar panes to power all its facilities. However, one of the biggest challenges this place faces is the 15 kilometers road which runs from the Chingola-Solwezi road to the wildlife sanctuary. The road is gravel and because of the many streams which cross it, it is usually in bad state during the rainy season. But access during the dry season is reasonable. 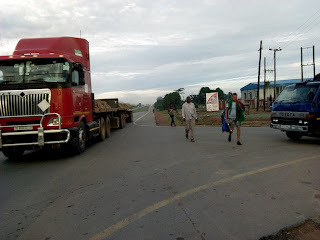 The journey from Chingola town to Chimfunshi only takes an hour and the distance is 64 kilometers. If you live in town, issues of early or forced marriages may not matter much to you. This is because in urban areas, it is rare to hear a child of 13 or 15 years being forced into marriage by her parents. But in rural areas, it is very common to see juveniles falling pregnant and being forced into marriage. As a child, growing up in rural Mumbwa, I saw these things and it was normal at the time. By the time I was going to Mumbwa High School for Grade 10 in the year 2000, most of my Primary School classmates at Kasalu Basic School were already in marriage. These are friends who were below the age of 18 and today when I go back to the village, I find them with 3 to 5 children each. This was normal to me because it was part of the community I grew up in. Early last year, we sent a grant proposal to the United States government under its Alumni Engagement Innovation Fund to start a project to help bring back girls to school. Lucky enough, the proposal was accepted and we embarked on implementing it in November 2017. Last month, I embarked on a marathon five day tour of Pemba District in Southern Province and Katete District in Eastern Province where my fellow Mandela Washington Fellows and I are running the US-funded Nileleni Project. The $22,000 initiative is being implemented by Evans Nsooka (in Katete), Nangamba Chintu (in Pemba) and myself to help bring back 10,000 girls back to school. In this one year project, we are working with traditional leaders, religious leaders, traditional counselors (alangizi) and schools to bring back girls who have been married off. For those girls who are currently in school, we are encouraging them to continue with school even if they fall pregnant. Using the Ministry of General Education’s Re-Entry Policy, we want girls to finish school despite them being pregnant, married off or lacking sponsorship. Pemba is a newly created district which was initially part of Choma. The district is predominantly rural with most people involved in agriculture. Here, early marriages and pregnancies among teenagers are common. The Nileleni Project set base in the area late last year and started the process of engaging the girls. 2016 Mandela Washington Fellow Nangamba Chintu is the implementer of the project in Pemba. 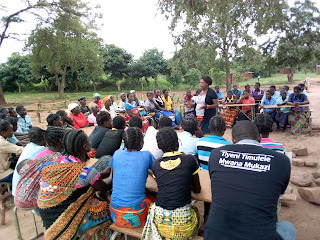 Ms Chintu, who is also Zambia News and Information Services (ZANIS) Pemba District Information Officer, has gone an extra mile in bringing various stakeholders together to bring back girls to school. “We have made a lot of progress here in Pemba. Many people have bought the idea of the girl child going back to school. This is so encouraging. 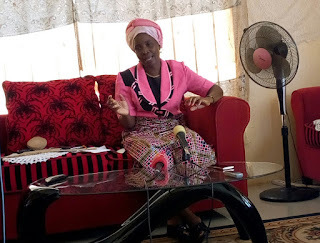 We have so far reached 359 girls and brought back eight girls to school and retrieved one from forced marriage,” said Ms Chintu. One of the traditional leaders who has been co-opted in the campaign is Mary Kalyengu, the Headwoman for Kalyengu Village in Muzoka area of Pemba District. Headwoman Kalyengu says as traditional leaders, they have been encouraging parents to take back their children to school in order for them to upgrade their education. “In my village, we have many girls who are dropping out of school due to pregnancies. But under the Nileleni Project, we are now working with parents to ensure that these girls go back to school,” said Headwoman Kalyengu in an interview. 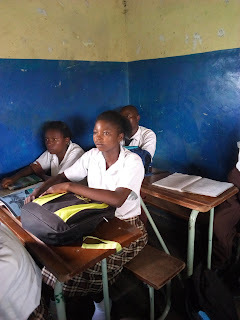 At Pemba Primary School, a number of girls have go back to school. One who delivered a baby eleven months ago is back in Grade eight while another who dropped out of school two years ago is also back in Grade nine. But 17 year old Jane Moono (not real names) has an interesting story of what courage can do to a girl who is determined to make it in life. Jane narrates that after passing her Grade nine examinations last year in Namwala District, her parents organized a forced marriage for her after failing to find school fees for her to proceed to Grade 10. “My parents brought this man to our house. It was my first time to see him. They told me he is my husband and they asked me to pack all my belongings and follow him to his house,” she said while sobbing. Jane says she walked with the man to his house and he took her to the kitchen. The girl now lives at an orphanage in Pemba and she is one of a dozen girls under the Nileleni Project who are scheduled to return to school in the second term, somewhere in May. “I’m still young and I love school. I can’t get married at my age,” insisted Jane. 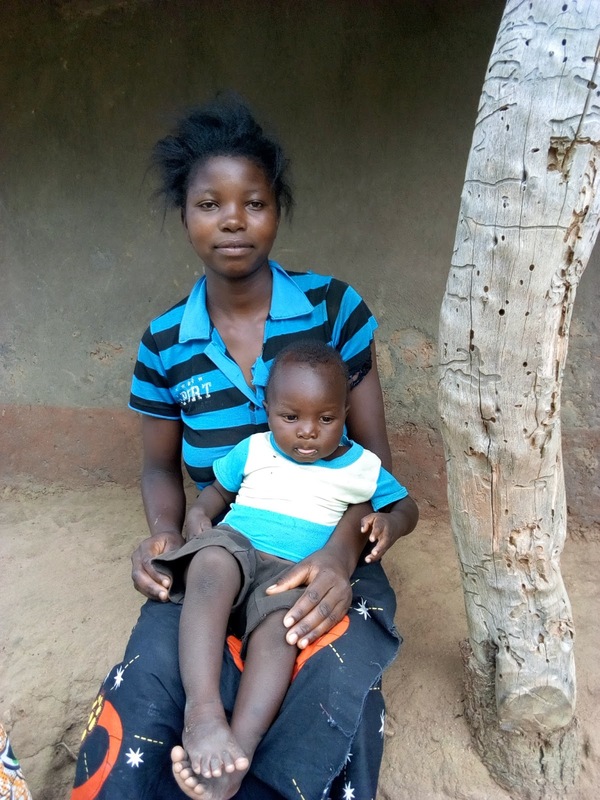 But 22 year old Charity Chimbwali, a mother of two, is a shining example of a married young lady who can defy village norms and go back to school. Charity is married but when alangizi visited her, she decided to seek permission from her husband to continue with school. “I dropped out of school a long time ago. But recently, my husband allowed me to go back to school and today am in Grade 10 at Muzoka Secondary School,” she said. Her husband Braison Mweemba, also of Muzoka area in Pemba, says his friends laugh at him for allowing his wife to go back to school. Mr Mweemba says people have been teasing him that once she gets educated, his wife will desert him. “As you can see, am not educated, I stopped school at Primary School level but I want my wife to finish secondary school and get a degree. Maybe she will take care of me and our children,” said Mr Mweemba in an interview. 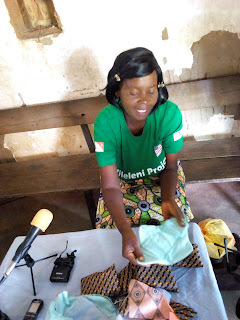 Apart from just taking these girls back to school, traditional counsellors in Pemba are also equipping them with skills to make reusable sanitary pad. This is because pads are inaccessible in rural areas. 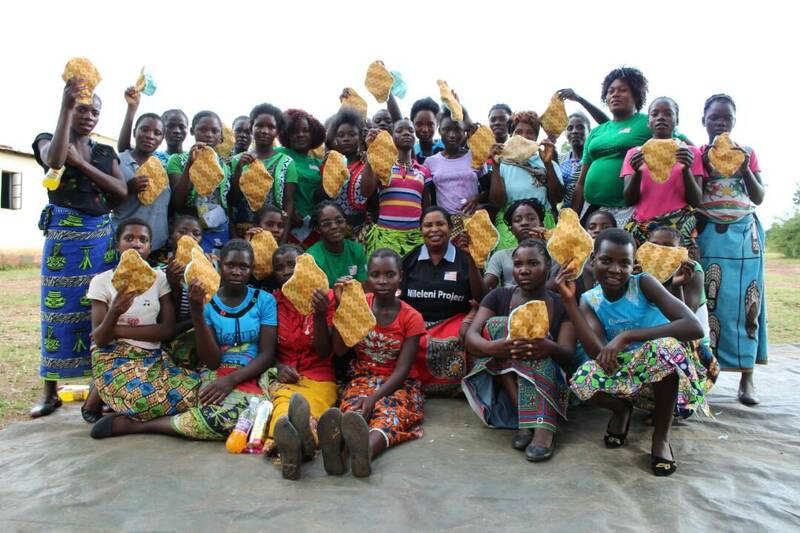 “We have taught these girls to make reusable sanitary pads. They make enough of these pads for themselves and sale others to raise money for school fees,” said Nyuma Mahachi, the senior alangizi in Muzoka area. On average, girls miss school for 2 to 4 days a month due to lack of sanitary pads but with the coming of the reusable pads which they are being taught to make, schools are recording a reduction in absenteeism among girls. 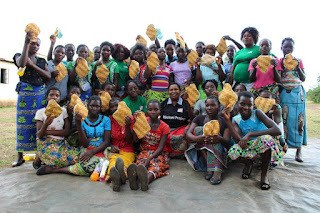 Muzoka Primary School has seen a number of its female pupils take part in the making of reusable sanitary pads. Authorities there say the use of these pads has made a significant change in school girls coming for class. “We have noticed in the recent past that very few girls stay home because of menstruation. These pads have really reduced absenteeism here,” said Muzoka Primary School Headteacher Sebastian Chifwala. All this work is done by a group of women whose passion for a brighter future for the girls burns every day in their hearts. 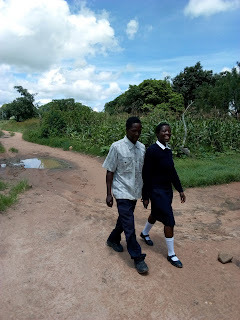 The alangizi walk on foot from one village to another to talk to parents whose children have dropped out of school. Sometimes they cover as much as 30 kilometers a day to do this voluntary job. “We owe the success of this project to the alangizi and the traditional leaders here in Pemba. These people are so dedicated, they do not get paid but they have sacrificed a lot to ensure that girls go back to school,” said Ms Chintu. 18 year old Malita Banda of Keni Village in Katete District has a very disturbing story. She says her parents withdrew her from school and forced her to get married to a man who paid them a pair of blankets popularly known as Puma. the time. When I ask him for money to grind mealie meal, he used to beat me. When I tell him that soap for the baby is finished, he used to beat me. I used to get beaten every day,” said Malita. Malita says on two occasions, she ran away from the matrimonial home and went back to her parents’ house but they forced her to return. After more beatings, she left the marriage and returned to her father’s house and early this year, she met Dorothy Mwale, one of the leading alangizi who are working with girls who have dropped out of school. Malita has a one year old baby boy with her former husband. “Aunt Dorothy told me about the Nileleni Project and I got interested. She guided me, took me back to Kanjeza Primary School where I enrolled. And now, am back in Grade 8,” she said while smiling. This blogger visited Malita in class. Malita is not the only one who has come back to school this year at Kanjeza Primary School. “Every year we have girls who drop out. Last year, six girls dropped out of school due to marriages and pregnancies. But the good news this year is that so far, 10 girls are back in class and we are happy,” said Bernard Phiri the Headteacher at Kanjeza Primary School. Across Katete District, more girls have gone back to school with the help of the Nileleni Project. Chieftainess Kawaza of the Chewa speaking people in Katete is one of the local opinion leaders who have been instrumental in bringing back girls to school. The traditional leader has been ensuring that girls who are forced into married are sent back home to continue with school. “So far, we have 306 girls who are now back in class. 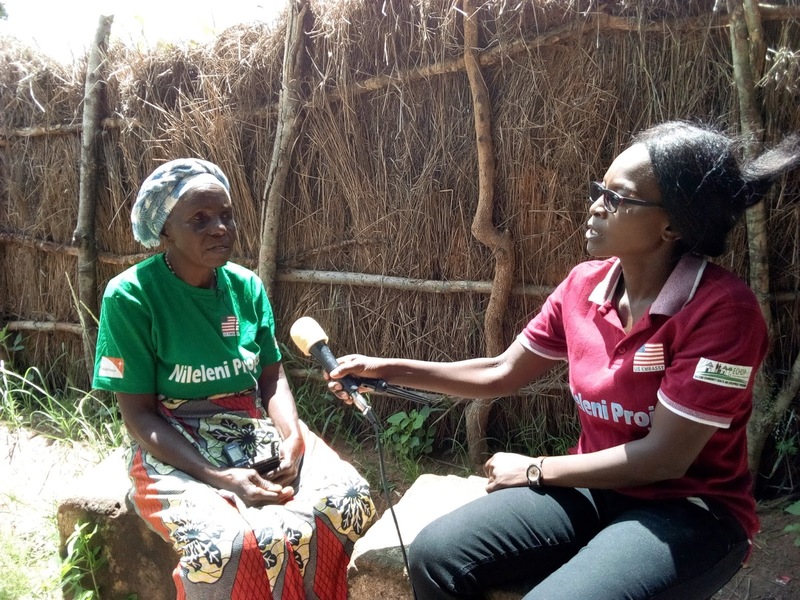 Further, we have another 54 girls who were married and with the help of World Vision and the Nileleni Project, they are now in school,” said Chieftainess Kawaza when this blogger and the Nileleni Project team visited her palace in Kagoro area of Katete. World Vision is a partner in the implementation of the Nileleni Project in Katete. 2016 Mandela Washington Fellow Evans Nsooka is an employee of World Vision and he is the lead implementer of the project in the area. “The project is moving on well here. 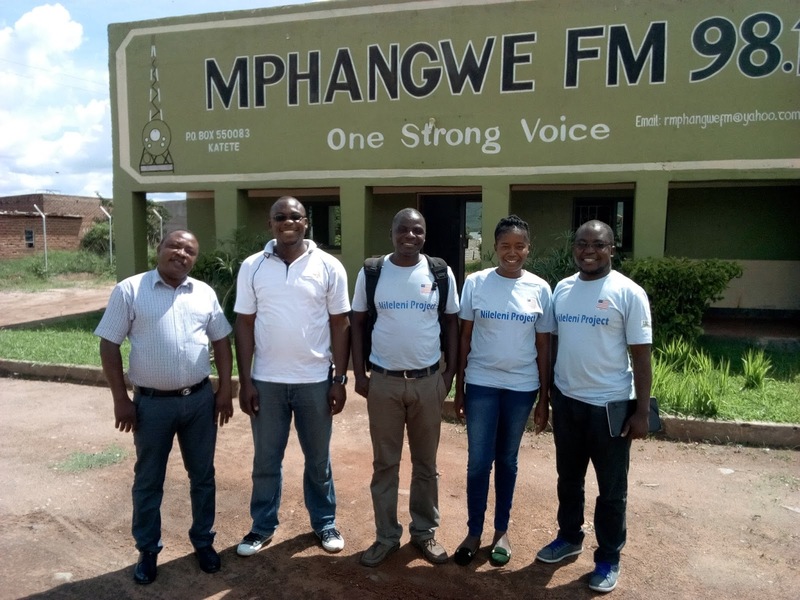 We have the support of many traditional leaders, alangizi and teachers who are helping us identify girls who need to go back to school,” said Mr Nsooka. He also revealed that from time to time, the Nileleni Project sends teams of alangizi and health workers to far flung areas to teach young mothers and girls how to safeguard their lives as well as knowing the challenges that are associated with teenage pregnancies. The Nileleni Project is in the process of rolling out the production of reusable sanitary pads in Katete. "Am married to a wonderful Namwanga wife, we have 13 children and nine grandchildren at the farm," he said. Mr Soper's wife was a councillor for Limaposa ward in the MMD era and she served at the same time when Mr Kamanga was also a councillor in Kitwe. "Am walking to Lusaka and this is the only way I can get the President's attention. The system at local government and provincial level has failed me, i want him to intervene," said Mr Soper. 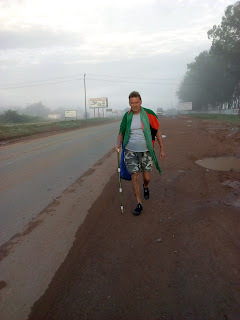 "I hope to be walking 25 kilometres a day and making one day offs and i reckon reaching Lusaka at the end of April. I ask Zambians to pray for me on this journey. This is not about me, its about equity and justice for my beloved country that's why am wearing this Zambian scarf"
"I have been praying for him for a long time so that he can live in peace with his family. Even on this journey, i will keep praying for him," said Pastor Mufunga as they walked side by side. "That gentleman has been maligning me for a long time. I have not grabbed any land from him. I genuinely got my land from the Council, paid all service charges and got a title deed from Ministry of Lands. The council advertised that land after a Supreme Court judgement and i happened to be among the many who applied and were allocated the land," said Mr Kamanga. Meanwhile, the Kitwe City Council says Mr Soper's allegations are not genuine because he does not hold title to the land where he claims people have encroached. "It is not true that Mr Kamanga grabbed land. He applied for that land from the Council and if my memory serves me right, there were 20 applicants who benefited. And this happened way before the current government. It was the Council term 2006 to 2011," said Kitwe Town Clerk Bornwell Luanga in an interview. 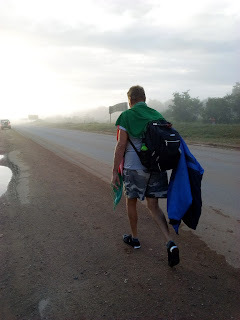 But Mr Soper's walk to Lusaka was short-lived as he was picked by armed Police officers at Kamfinsa junction. But according to Zambia's Public Order Act, a person or organization which wants to protest must give a 14 day notice to the Police. This means that Mr Soper's lone walk to Lusaka may have to wait until the Police gives consent to his notice.